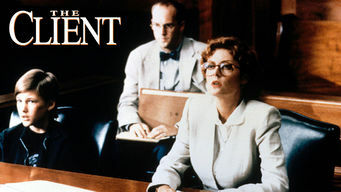 How to watch The Client (1994) on Netflix Australia! Yes, The Client is now available on Australian Netflix. It arrived for online streaming on June 14, 2018. We'll keep checking Netflix Australia for The Client, and this page will be updated with any changes. After witnessing the suicide of a lawyer whose client is in the mob, 11-year-old Mark Sway seeks the aid and protection of another lawyer. Being a witness is dangerous for a boy. Now two faces of justice aim to protect him ... or exploit him.